The Mountain has since gotten even more deadly, becoming a zombiefied monster after his near death encounter with Oberyn Martell in season 4. The beast is near unstoppable now. But the Hound is no pushover. 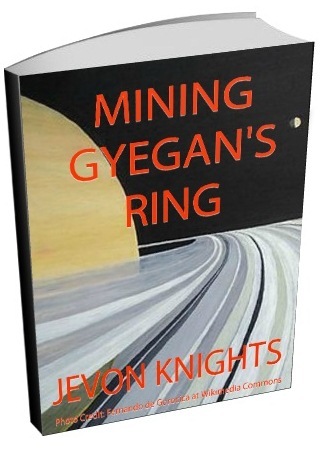 Who better to take down the Mountain than his own little brother? Cercei was never the most loving of women, but after having lost all three children, and being forced to perform the Walk of Shame in season 5, she’s the symbol of terror in King’s Landing. Now the Queen, she is the most powerful figure in Westeros. But Jamie, twin brother and lover, seems to finally understand how evil his sister is. Winter is here, and the only way to defeat the real threat is to combine forces. Good look doing that while Cercei is still alive. Jamie is going to Kill Cercei, then lead the Lannister army into the final battle against the White Walkers. 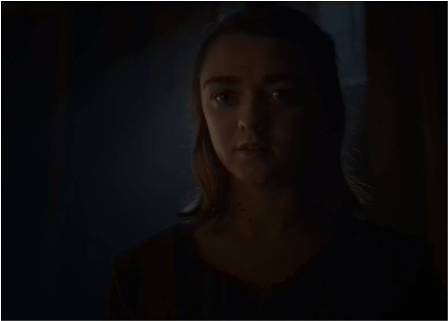 Let’s not forget that Arya has a list of doomed men. She’s already scratched off a couple names – Polliver, Walder Frey and his entire house. Others like Joffrey and Tywin have been stolen from her, but there’s still a few more. 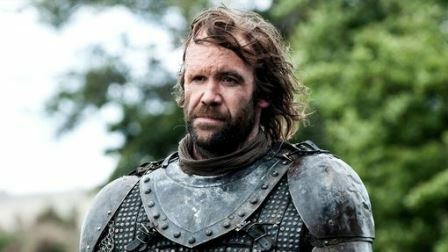 The Hound was spared, and characters like Beric and Thoros will probably get off easy, seeing that they’re one of the good guys. That leaves Melisandre the Red Woman. And seeing that her purpose in the series is all but spent, things aren’t looking good for her. Sorry Melisandre, but you’ve got a bloody death coming. Now that Winter is here, there’s going to be an all-out battle between the people of Westeros and the White Walkers. Daenerys has been really flexing her muscle by taking over cities and flying on dragons, but in my opinion, she’s gotten a bit too confident. Her ultimate goal is to reclaim the Iron Throne and rule over the Seven Kingdoms, but after Jon swept her off her feet, now she’s decided to join the fight against the Night King. 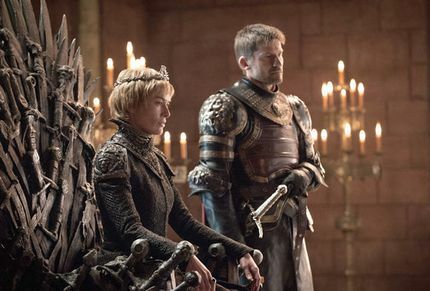 Any other show might see the good guys win with zero casualties, then fast forward to the two favorites getting married, ruling Westeros together and having lots of kids, but this isn’t any other show. The Night King has a dragon. Daenerys has a dragon, or two, and she’s going to die during a brutal dragon-riding battle. Awesome! When Daenerys dies, Jon is going to go nuts. 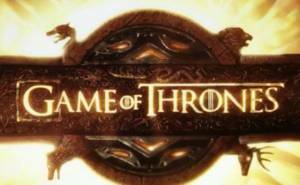 And this will be the final, epic battle between the two heavywieights of Game of Thrones. 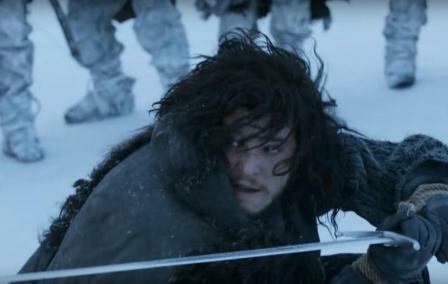 We have seen that Jon’s sword Longclaw is actually made of Valyrian steel, one of the few materials capable of killing White Walkers. And we all know how great a fighter Jon is. 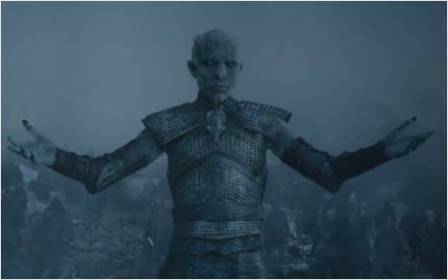 The Night King will put up a good fight, but ultimately Jon is going to stab it through the chest, maybe even lop off a head. But this fight will take too much from Jon, and he’s probably going to die… again. So these are my season 8 kill predictions. All this death is really going to tear up Westeros. Don’t worry, Sansa is going to do a good job sitting on the Iron Throne. Comments? Last one standing, eh? Those are all good predictions. Can’t argue with any of them. Though there might be even more death than you think. Why couldn’t the WWs win? Knowing this show, nothing’s off the table! A part of me is wishful-thinking about Danaerus & Jon, but in all liklihood, I think you’re right. The Cleganes clashing swords, though, that might be the conflict I’m most eager to see of them all. Oh yeah, the cleganebowl is going to be worth pulling out the good snacks. Wow, those censors are working overtime. Well it sounds like you don’t mind so I’m glad you still get to enjoy the story. Same here in Viet Nam! I remember when they played Alien Covenenant in the cinemas, and I was all confused because someone was getting killed (of course) and the camera resolution got all pixilated as it zoomed into an obscure corner of the screen. Their means of cheap censoring.